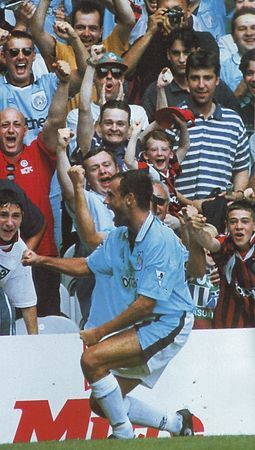 Searing Heat, not something most Mancunians are used to, greeted the 22 Manchester City and Tottenham Players as they strolled out to ‘Roll With It’ by Oasis. 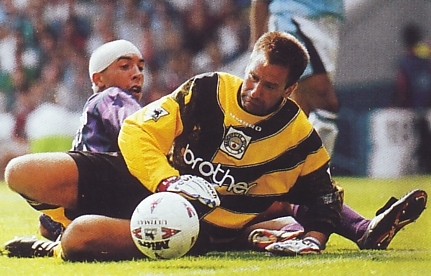 … The Maine Road turf was resplendant in the late Summer sunshine and in it’s customary tip-top condition after being lovingly tendered by groundsman Stan Gibson. … The terraces long gone, the all-seater crowd settled in their seats… as the minutes ticked towards 3-O’Clock… Pre-match chat buzzed around the stadium and old aquaintances who only seemed to meet up on matchdays, shared the usual mix of pessimism, optimism, small talk and banter. 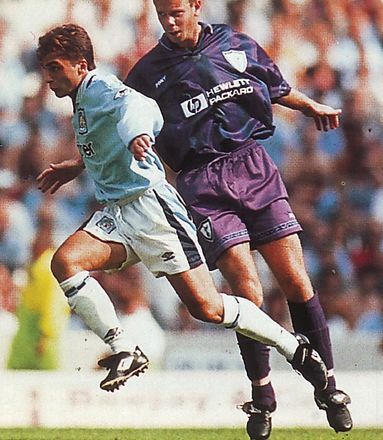 …Kinkladze wore the Number 7 shirt for his first appearance for the club and, donning one of the best looking City strips of recent times, sky blue jersey with white shorts and white socks, the diminuitive midfielder certainly looked the part prior to kick-off. …Within minutes of the kick-off the Georgian International had played a couple of sweet passes and one delicious nonchalant flick with the outside of his boot. He had immediately captivated the home support, with an audibile air of expectancy beginning to rise from the crowd each time the ball was played to him. 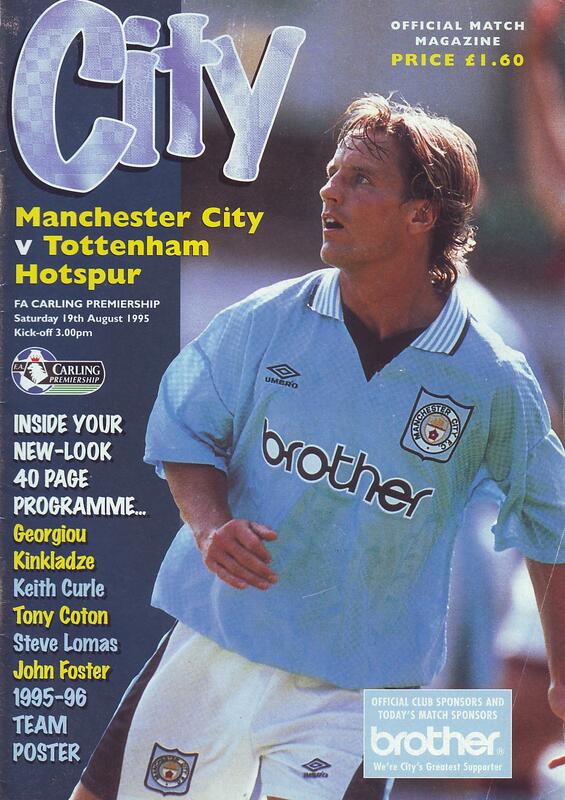 …But City being City it was Spurs who opened the scoring with a Teddy Sheringham header on 33 minutes, and that remained the score until the break ….The Blues came out and equalised 6 minutes into the second half to secure a point and everyone went home satisfied.